The following is an excerpt from the book Life as Sport. I’m fortunate to be familiar with Jonathan Fader through the great work he does with elite athletes and high achievers in a variety of disciplines. Thus, I was looking forward to learning more about how the strategies he uses can be adapted to everyday life outside the stadium. Right away, I could see that Jonathan has neatly defined a problem so many of us have—focusing on outcomes vs. processes—and encapsulated a method for anybody to solve that problem. Getting preoccupied with outcomes has certainly been a hazard in all the years I’ve been in baseball, just as it was when I was in the military and when I made my way through Harvard Law School. How do you acknowledge that outcome pressure exists but identify and establish a process that lets you manage the competing forces in your mind and in your life so that you can make sound, mindful decisions and keep potential consequences in the proper perspective? Jonathan shows you how in Life as Sport. I was particularly struck by the way Jonathan describes how to identify what motivates you, and how truly important the mental and emotional components of performance really are. It was fascinating to read and learn how my motivation both informs how I approach situations and the techniques I should use in the moment. In my career as a sports executive, I’ve always believed that the more you can do to enhance your mental and emotional approach, the more control you’ll have and the better your chances for achieving peak performance. It has manifested itself in how I view coaches. I’ve never chosen one that has been strictly oriented toward mechanical techniques. Rather, I have always preferred coaches who understand how important a strong mental approach is for professional athletes. Jonathan’s insight on that subject reinforced and expanded what I believe about the relationship between the mind, emotions and attitude—and the relationship between attitude and performance. 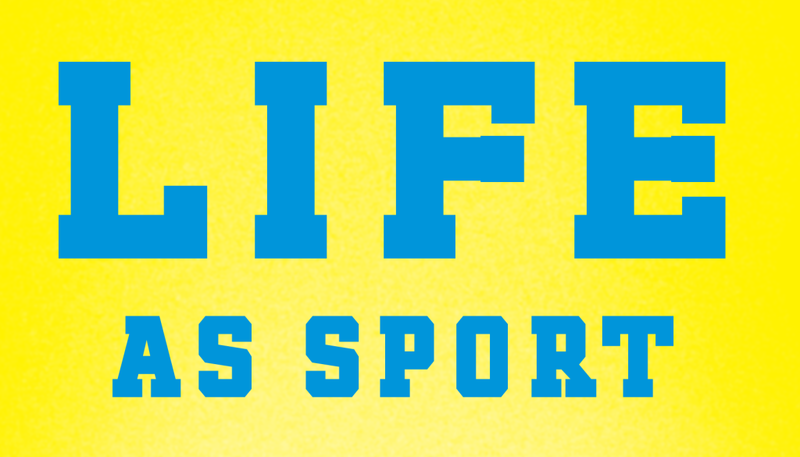 Life as Sport gives you concrete ways to build strategies and routines that make the day-to-day process of living life easier, and more enjoyable. The techniques that he describes (like visualization and adaptive self-talk) are ones that I have tried to use over the years, but struggled with in stressful situations—such as watching an extremely important game come down to the last inning. What Jonathan is able to do in Life as Sport is show you how to prepare for success but also how to prepare for times of adversity and high emotion—how to use these skills at the times when you need them the most. It isn’t so much about solving a specific problem as it is about maintaining the perspective and emotional balance to be able to approach any situation—positive or negative—with your strongest decision-making powers. This gives you the freedom to enjoy the moment as it happens, because you’re ready for it—and you’re not consumed by what has happened in the past or what might happen if you succeed or fail. You will learn how to focus on enjoying the process and by doing so, you are likely to succeed more often. The tools Jonathan describes are as powerful as any of the statistical or other innovations I’ve seen in my almost forty years in baseball. Give them, and Life as Sport, a try. You won’t be disappointed!